Are you worried about not being able to vote in Lok Sabha elections 2019 because you are on the move? Well, you're not the only one. India's 900 million voters are expected to take part in the world’s biggest democratic exercise, but, according to an analysis published by Business Standard, despite a mammoth number of voters, India is behind several countries when it comes to the number of people turning up to vote. 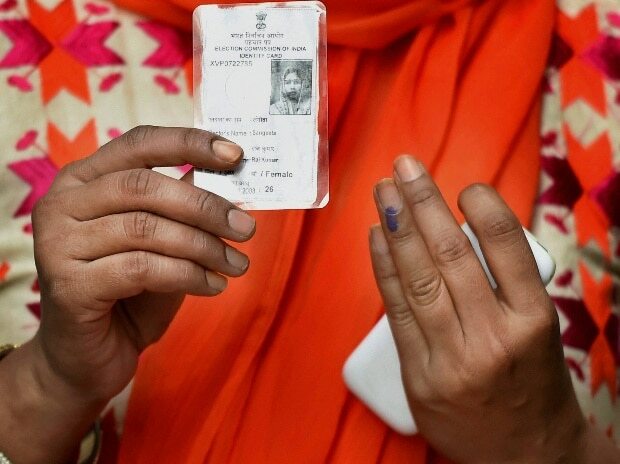 India had a record voter turnout of 66.4 per cent in 2014. This is still lower than the global median of 68.03 per cent. There could be many reasons for this. One of the causes for the 'lost vote' is that many registered voters are on the move or have relocated in search of jobs. According to a report by the Times of India, 281 million registered voters did not vote in Lok Sabha Elections 2014 because they were on the move. These would include voters who move in search of work or for higher education, those who shift from city to city on work every few months, and those who migrate after getting married. Voters must know that the Election Commission of India has a process in place, both physical (in-office) and online, to have the name of a voter transferred from the electoral rolls of one constituency to another. Fill in the state, district and constituency you want to vote from. Step 3: Fill in all the mandatory details like name, address, phone number, date of birth, etc. "My name may have been included in the electoral roll for Constituency in State in which I was ordinarily resident earlier at the address mentioned below and if so, I request that the same may be deleted from that electoral roll." Please note: You can hold only have one voter ID card with one particular address in a constituency. It’s illegal and punishable offence for a citizen of India to enrol from two places. Once you click on submit option, you will get a reference number through which you can track whether the changes have been made or not. The process is not so cumbersome, however, there are no fixed timelines as to how long the Electoral Registration Officer will take in transferring an applicant’s name to another constituency. There is no clear appeal mechanism either. Even the toll-free number for voter education published on the Election Commission’s website rarely connects.